I can't change my card details : The Electric Tobacconist Ltd. If you're having trouble changing your card details, follow these steps for an alternative way to pay. 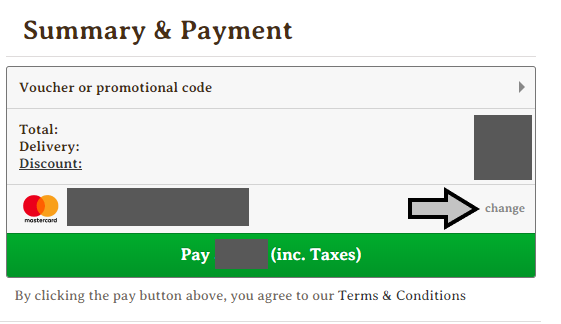 Go through the checkout process as usual as far as the Payment screen. Before confirming your payment, click Change (as shown below). Now select Pay with PayPal (as shown below). 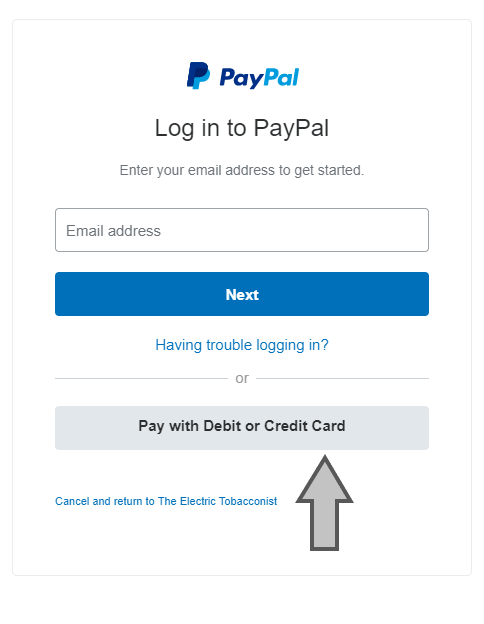 You will be taken to a PayPal login screen; simply click Pay with Debit or Credit Card and you will be able to pay with your credit/debit card without having to set up a PayPal account.